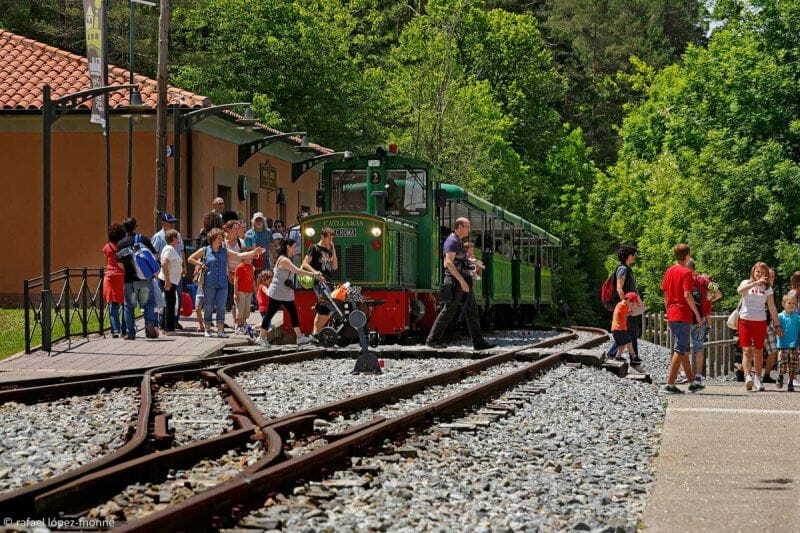 The route of the Cement Train goes through different tourist interesting places in the area, which include the exhibition of transport vehicles, located in the same station of La Pobla de Lillet. The Artigas Gardens, designed by Antoni Gaudí and fully integrated into the natural setting where they are located, on the outskirts of La Pobla and the Asland Cement Museum, which is next to the Castellar de n'Hug station. The journey lasts approximately 20 minutes and is carried out by a diesel locomotive with a maximum of 4 cars that can accommodate 25 passengers each.